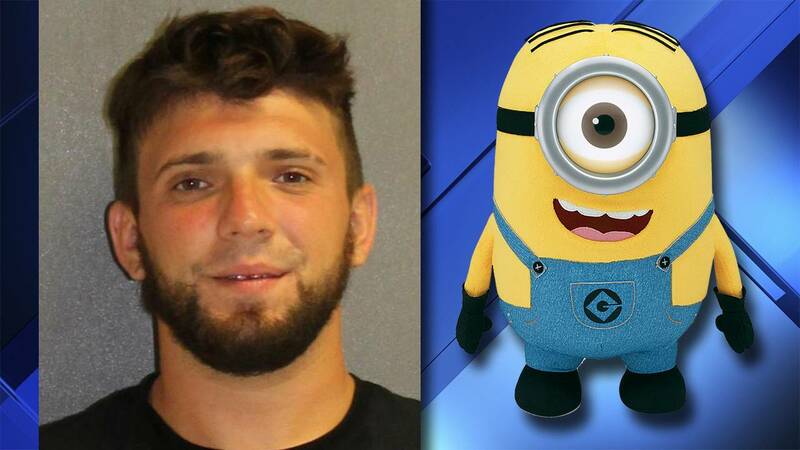 DAYTONA BEACH, Fla. - A man has been charged with attacking a person dressed as a minion cartoon character along a popular Florida boardwalk. Police said Jamie Roehm was costumed as a yellow, cylindrical minion and working outside Jungle George's on Daytona Beach's boardwalk Sunday evening when a man started messing with him. According to the police report, Roehm said the man slammed him onto the pavement and kicked him when he tried to get back up. Police said witnesses cheered on Ryan Nihart, 25, during the alleged attack. The store owner and others helped detain Nihart until police arrived. He was charged with battery and criminal mischief.